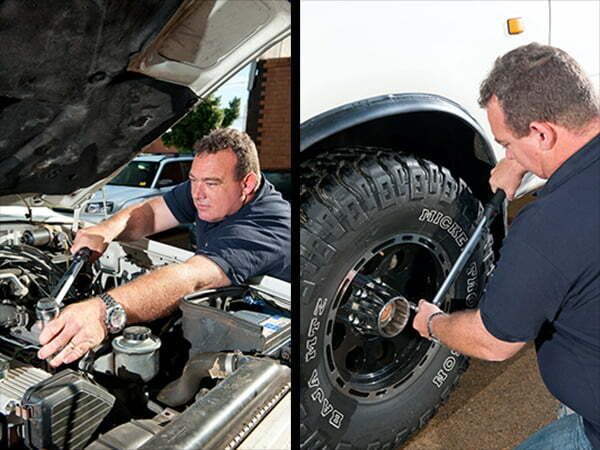 Obtaining the correct amount of torque is critical and a quality calibrated tool is essential to doing the job right. 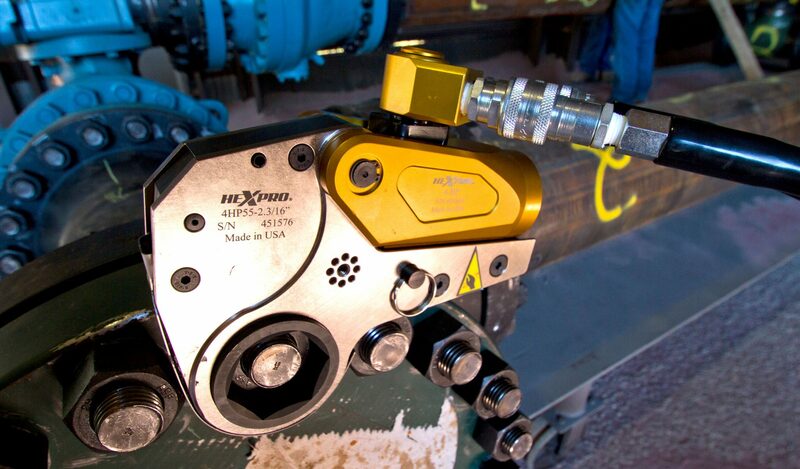 Let’s look a couple of ways a hydraulic torque wrench can give you and your staff an advantage. Manually applying the correct torque to each fastener, using large and heavy wrenches, can be very time consuming. The smaller, lighter hydraulic torque wrenches allow operators to move the tool into position and apply the set amount of torque quickly and easily. The use of heavy manual tools can lead to injury and fatigue. 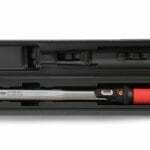 The light weight hydraulic tools minimise the risk of lifting injuries and the smaller size makes moving the tool into position much easier. The smart design reduces the risk of pinch points, and the swivel fittings connecting the hydraulic hose provide greater flexibility with hose routing. The remote control function of the hydraulic pump, allows for hands-free operation of the system, reducing the risk of injury to the operator. The hydraulic system allows a much greater force to be applied than a manual wrench, with considerably less physical effort from the operator. The compact design and lightweight materials used make hydraulic wrenches the ideal solution over manual options. Accessibility is often an issue and the low profile style wrench allows access to the nut, even if there is a bolt or rod protruding through it. Properly calibrated hydraulic toque tools can have a plus or minus 3% accuracy or better ensuring high repeatability and the confidence that the required amount of torque has been applied every single time. Radical Torque Solutions in partnership with Torsion X, has a comprehensive range of square drive and hex link style tools available to suit your needs.